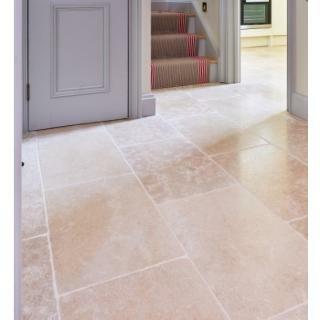 This subtle large format limestone flag is one of our top selling products from our showroom. 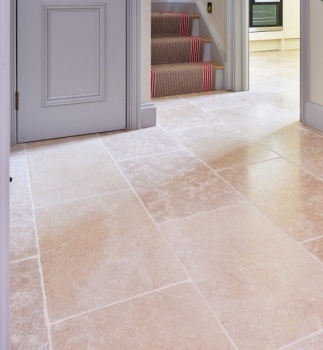 The gently tumbled and distressed edges and subtle colour variation from oatmeal to grey creates a high versatile and stunning floor covering. Please note that this limestone flooring is delivered via crated pallet.